Here are some of the questions that I'm commonly asked about grants and how to find grant funding. For a more comprehensive look at FAQs in the industry, visit the Foundation Center. Don't see your question here? Ask Laura! A grant is a financial award that is given by an organization (like a charitable foundation, a corporation or the government) that is to be used for a particular purpose. Unlike loans, grants do not have to be repaid. However, the grantee typically reports back to the grantor on how the funds were used. Many entities are eligible to apply for grants, including nonprofits, schools and school districts, even municipalities. Individuals (such as students, teachers, artists and researchers) can apply for certain opportunities. Before you start a nonprofit, ask why. What is unique or different about your idea? How are you different from organizations doing the same or similar work? How will you be better? There are more than 1.8 million U.S. charities today. That's a lot of competition for funding, and board members, and staff and...you get the idea. You might consider asking an established nonprofit to be your fiscal sponsor instead of starting your own nonprofit. If you do decide to start a nonprofit, check out this primer on how to start a 501(c)(3) nonprofit organization. 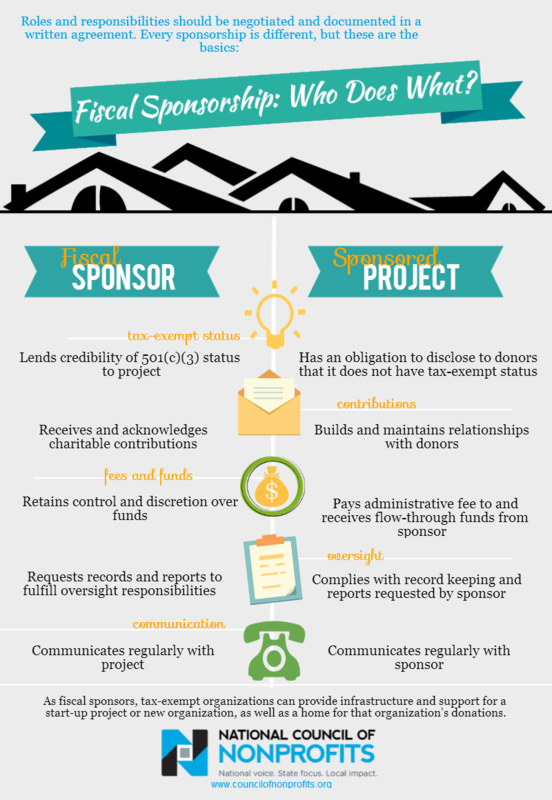 Can my nonprofit organization apply for a grant? The funder will specify what type of nonprofit organizations are eligible to apply for grants. Eligibility requirements may include being a 501(c)(3) charity, where you're located, or who you serve. However, eligibility does not necessarily mean that your nonprofit is ready to apply for a grant. If your organization isn't "grant ready," this can impact your chances of success. When should my nonprofit organization apply for grants? Typically, a foundation will want you to have been in operation for at least 2 years before applying for a grant. They want to see that you have a track record of success as well as some other funding. Beyond that, most funders will indicate when they accept proposals. Some grantmakers have published deadlines, some accept applications on an on-going basis and many don't accept unsolicited proposals at all. Nonprofits should consider the timing of their requests, so they can apply well in advance of the funds when the funds are needed. The review and decisioning process can take weeks or it can take months after you submit your proposal. Nonprofits should consider the timing of their needs with the timing of their requests. Nonprofits should also remember that it often takes many grant awards from multiple funders to fully fund a program. Every foundation will have its own application process, deadline dates and decisioning schedule. Can my nonprofit apply for more than one grant at a time? Since it typically takes funding from multiple sources to fully fund a program, it's common for a nonprofit to have requests pending with multiple foundations at one time. When should I hire a professional grant writer? Maybe you don't have time to do it yourself...or maybe you don't know where to start. Whatever the reason, there are times when you need professional grant writing support. Is now your time? Do you have a new staff member who needs grant writing guidance or support? Do you have time to find new grant opportunities Do you know where to look? Do you know when to ask and how much to request from a particular foundation? Have you made careless mistakes because you were rushed to meet a deadline? Do you wonder how you could make every grant proposal better? Why should I hire Laura and Third Sector Consulting? Laura has helped small nonprofits raise more than $15 million from grants alone. Beyond that, there are many reasons to hire Laura. One of the most unique is the fact that she been on the other side of the table - she spent 6 years working as a program officer for an international foundation. That means she's read hundreds of proposals and she knows what funders are looking for when they read and evaluate proposals. She knows what funders want -- and she knows what they don't want. Another reason to hire Laura: she knows that grant writing is more than just writing, and she specializes in doing more. From prospect research to editing and proofreading to proposal critiques. Whatever the reason and wherever you are in the grantseeking process, Third Sector Consulting can help you find more funders, win more grants and raise more money. Can I pay a grant writer on commission? No. Grant writers are paid from existing funds, not from grant awards. The professional standards and code of ethics of both the Association of Fundraising Professionals (AFP) and the American Grant Writers' Association (AGWA) prohibit grant writers from working on a commission. Laura is a member of both AFP and AGWA. Can I pay a grant writer a percentage of the funds received? No. Grant writers are paid based on their effort, not the actual award. Laura is a member of AFP and AGWA. Can you guarantee that my program will be funded? No grant writer can guarantee that a proposal will be funded. There are many factors that determine how grants are awarded, including your organizational readiness, the strength of your programs, the funder's priorities and the availability of funds. Also, if Laura doesn't think you're ready for grants or a good match for a particular opportunity, she'll tell you so. She will never try to sell you services that you don't need. What can I expect when I work with Laura and Third Sector Consulting? You'll find that Laura is your partner in philanthropy. She will listen to your needs, understand where you are in the fundraising process and help you to achieve your grantseeking goals. Your work will be delivered as promised, on time and up to Laura's own personal, high standards.